Lots of people lose the keys to their vehicle repeatedly. Getting a car key replaced in Phoenix is really a really simple thing to do. 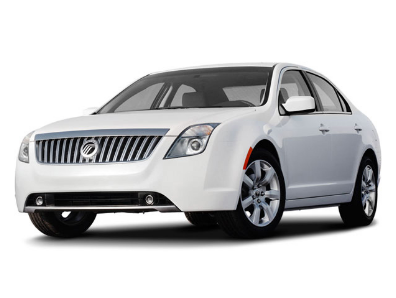 AZ Car Keys are less costly than car dealerships for Mercury car keys in Phoenix. If you have lost the keys to your car, locked yourself out, or by any chance, destroyed your keys, the only way you can gain access back in is to get yourself a replacement car key. Getting a replacement key made will not only be quick, but will cost you relatively less too, than getting another original key made from the manufacturer. And the replacement key will perform the exact same function as the original one. You will feel no difference. There are different types of mercury car keys that can be made from AZ Car Keys. The first type is the ordinary transponder key. A transponder key is different from the conventional bladed key because of its need for programming that must be synced to the car’s computer or else the car will not start. It is embedded in a coded chip and covered in a plastic body. When you insert the key, the code needs to be recognized by the car. This need is there as an added security measure so that no other key can get the access to your car. While other services might not be able to factor this variable in the replacement key, we certainly can make you a car key that is perfectly programmed to your vehicle’s computer. Mercury Sable 2002, Mountaineer 2000-2003, Monterey 2004-2007, and Montego 2005-2007 models have this kind of technology built in for safety and security. Another type of mercury car key is remote car key, which comes with added convenience. The vehicle owner can lock or unlock their car without the need to insert the key in the keyhole. The doors are locked and unlocked with just a click of the remote key button. This function can be performed because of the radio transmitters in the remote that are recognized by the receiver in the car. Like the transponder key however, the remote car key also has to be programmed correctly to the vehicle’s computer, or else it will not work. The rationale behind is also the same; this reduces the chance of theft and acts as an added security measure. The Mercury model of 2010, Mariner 2005-2011, and Milan 2006-2011 are some of the models that operate on this remote car key. Another function AZ Car Keys perform is changing the lock system of your car, so if your original key, be it transponder or remote key is stolen you don’t have to worry! Once the lock system is changed and the replacement key is programmed to sync with the new system, your car would not be accessed by its original key. You and your family, and your belongings will be perfectly safe. Mercury models made after 1998 have to have a key programmed to the computer through the chip. Most locksmiths cannot get through that, but we are perfectly capable of understanding and replicating the make. Since 1999, vehicles have also been using the rolling codes keys. These are similar to the transponder keys in the make, but the difference is that every time the key is inserted, a different code is sent to the computer to recognize, as opposed to the transponder key that uses a single code. There is a guaranteed car security that comes with keys that use rolling codes, and in case of lose, it can get a little difficult to replace them. Mercury cars also use this type of keys. 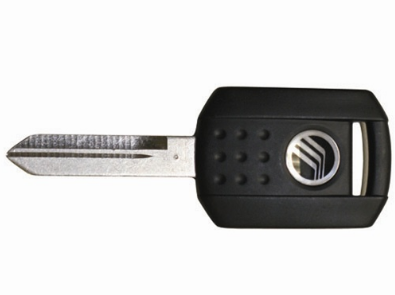 Mercury cars also use the valet car key as one of the type of keys. A valet car key is like a transponder key, coded for the ignition, but it can only be used for the locked doors and ignition. You cannot open the trunk or the glove box with this. Replacement of the valet car key is fairly simple as well. Our technicians not only replaces your key like no one else, but will also satisfy you completely. The costs of getting a new, original car key are tremendous, and will take time. In times of urgency, when you just need that replacement, our experts will guide you, and help you in less time and reduced costs. From changing locks, to getting your car unlocked, to getting that perfect coded key that is programmed just for your car, we can do it all! Call AZ Car Keys Today For Your Replacement Mercury Keys! I've had my old Mercury Cougar sitting for almost 22 years. Problem is, I completely lost the key. Called AZ Car Keys up they were able to come over that day and give me a replacement car key. Excellent service and very professional.